Happy birthday to The Cincinnati Reds’ Horace “Hod” Eller, who threw a no-hitter against the St. Louis Cardinals in 1919. 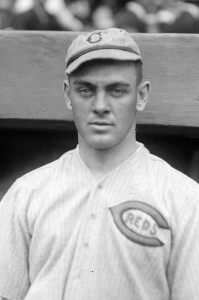 Eller, born on July 5, 1894 in Muncie, Indiana, no-hit the Cards on May 11, 1919 for a 6-0 win at Redland Field. Three St. Louis batters reached first base on walks, but two of them were thrown out trying to steal second.